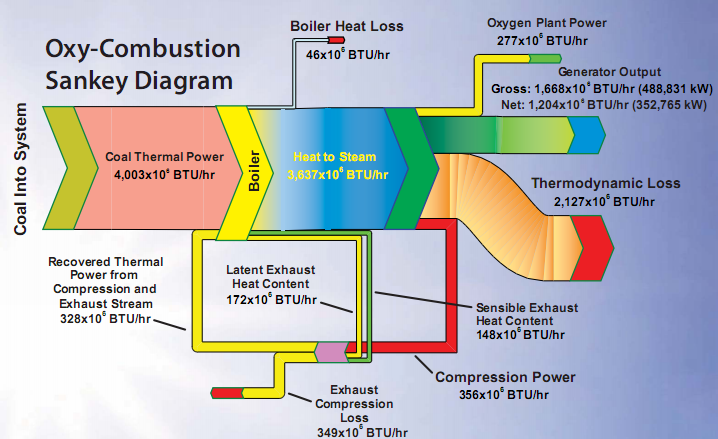 The National Energy Technology Energy Laboratory’s (NETL) website has a lot of interesting stuff, so I dug up these two Sankey diagrams showing energy flows of a typical (air) combustion and of oxy-combustion in power plants. 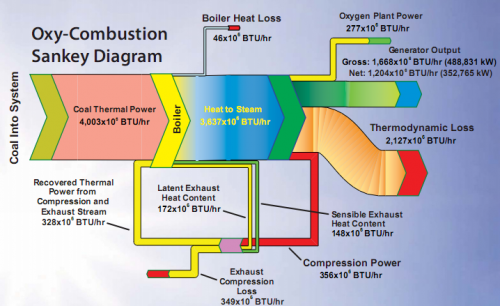 The Sankey diagrams were presented in May 2008 at the Seventh Annual Conference on CCS in Pittsburgh, PA on a poster titled ‘Strategies for Improving Efficiencies in Oxy-Combustion Retrofits’. See the PDF here. 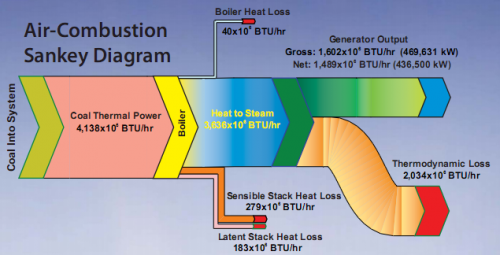 The first diagram shows how heat losses occur at the boiler and at the stack. Only a part of the energy flow at the power generator can be used, while a large chunk is thermodynamic loss. In the second diagram, heat from the boiler and compression is recovered and fed back.